What follows Digital Transformation? Digital Reinvention! Having successfully mastered digital transformation business leaders have the opportunity to take a fresh look at the corporate structure and performance levels with an unprecedented opportunity to digitally reinvent parts of the company to pursue new profitable business avenues. 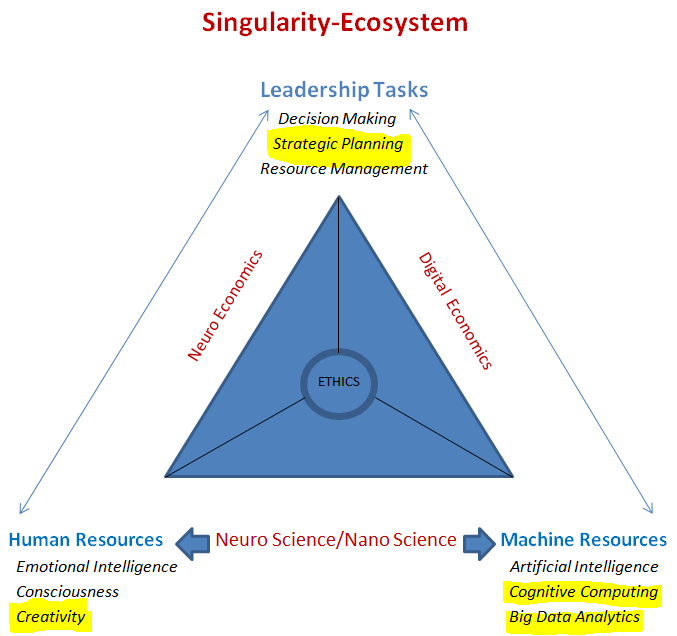 The combination and interaction of human Creativity, Cognitive Computing and Big Data Analytics as represented by the Singularity-Ecosystem sets the stage to model and implement Strategic Planning options to cover new territories without disrupting the ongoing business operation. The following paper published by the IBM Institute for Business Value provides further valuable insights.